The Global Catholic Climate Movement aims to persuade a million Catholics to pledge their support for Pope Francis’s encyclical on the environment, Laudato Si. Signatories agree to pray with and for creation, live more simply and to advocate to protect the environment – our common home. 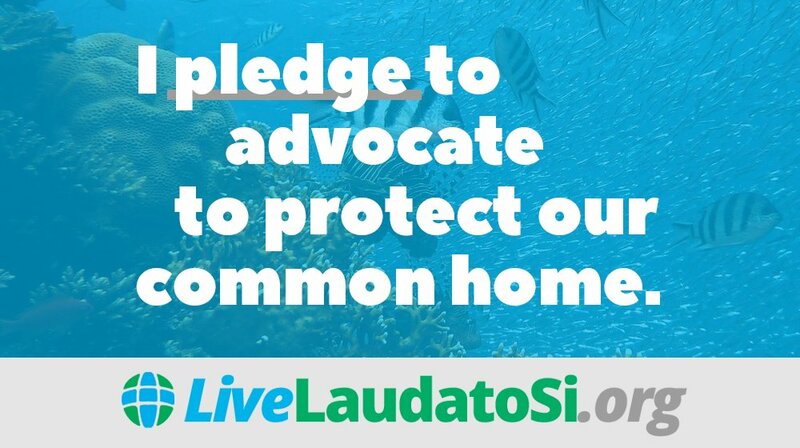 Francis has given the “Laudato Si‘ Pledge Campaign” his tick of approval. The campaign has also been endorsed by Cardinal Peter Turkson, who is the head of the Vatican’s new dicastery for integral human development and by Cardinals Reinhard Marx of Munich and Blase Cupich of Chicago. The Global Catholic Climate Movement is a community of hundreds of thousands of Catholics who are responding to Pope Francis’s call to action in the Laudato Si’ encyclical. “We are lay people, priests, religious, bishops and a global network of member organizations working together to tackle the climate change crisis,” their website says.